Locus crashed with track slope mode+Arrows #3. Not for many many months has there been a crash. 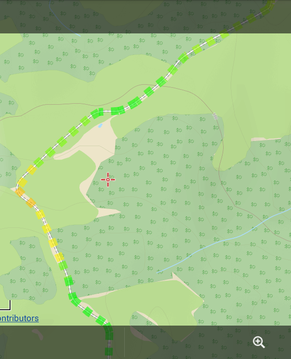 There was big variation of spacing of the arrow icons along track. Some places arrows merged into solid line, other places there was much bigger (and sensible) gap. 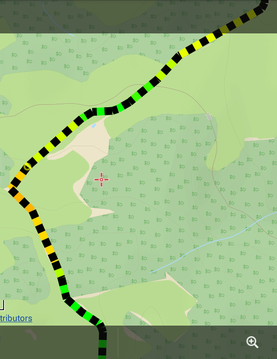 See also (related but not the same issue) http://help.locusmap.eu/topic/adjust-track-pattern-to-map-zoom-level.